From the sublime to the ridiculous! No, this is not ‘Photoshopped’ – this is a real aircraft. 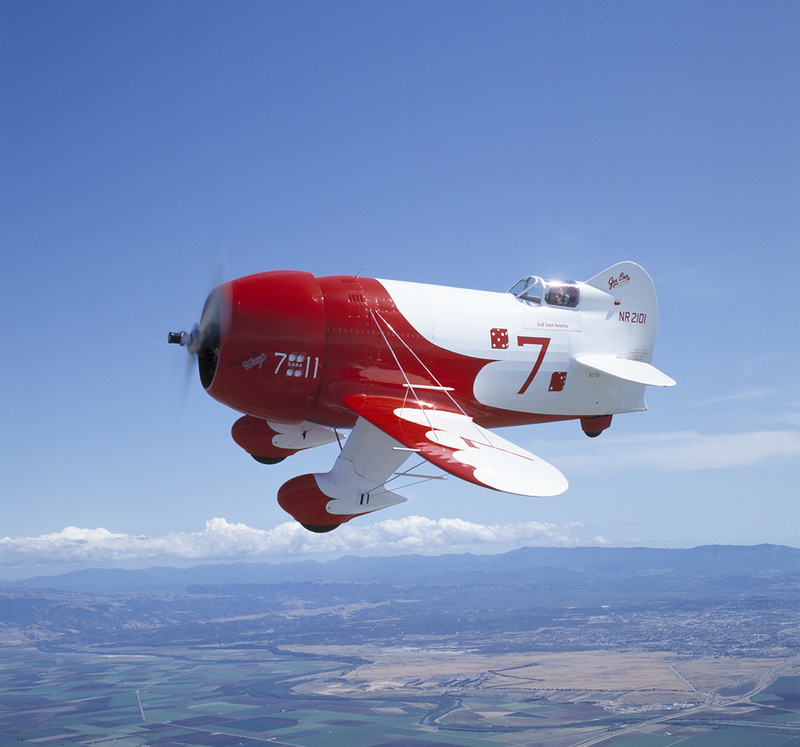 It is actually a replica of a 1930s Gee Bee Racer as used by Jimmy Doolittle. Designed by the Granville brothers, many of these aircraft crashed, killing their pilots. This replica was built by Delmar Benjamin and photographed in Northern California during the annual Antique Aircraft Fly-in and Airshow at Watsonville which I attended for many years. Delmar carries out amazing airshow displays using this aircraft.